Automotive parts must be protected from contamination from airborne particles, such as dust, when they have just been formed or after painting. Largely dust-free “clean” conditions have a positive influence on the quality of the parts produced, and this improves the cost-effectiveness of the production. 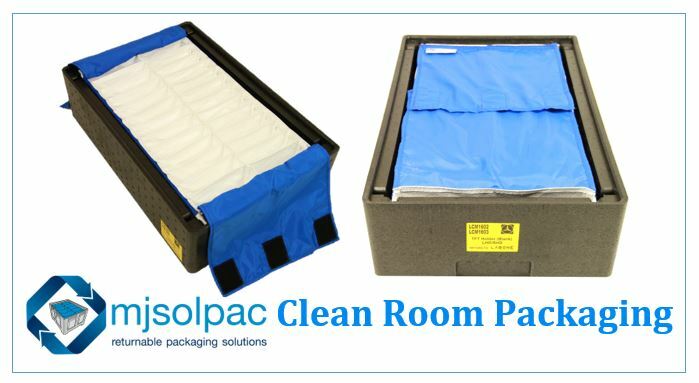 Mjsolpac have developed “clean” packaging in the form of an EPP container with textile dunnage. The container has no ribbing to collect dust so is easy to clean, and the dunnage is easy to remove for laundering. This container is impact resistant, lightweight, robust and exceptionally strong. Designed to be stackable, and available in sizes suitable for a euro pallet, we feel it is a great option for customers who have a clean production environment. Our current available sizes are 600 x 400 x 120, 600 x 400 x 170, 600 x 400 x 250 and 600 x 400 x 290 but other sizes could be arranged dependent on quantities required.